This morning my friend, Kevin Meyers, competed in the Double Bong 40k, ABR Wisconsin State Time Trial Championship, Kansasville, WI. Kevin lost his sight in 1987 when his racing boat hit a wake at 60 mph, threw him into the water, where he was hit by another boat. 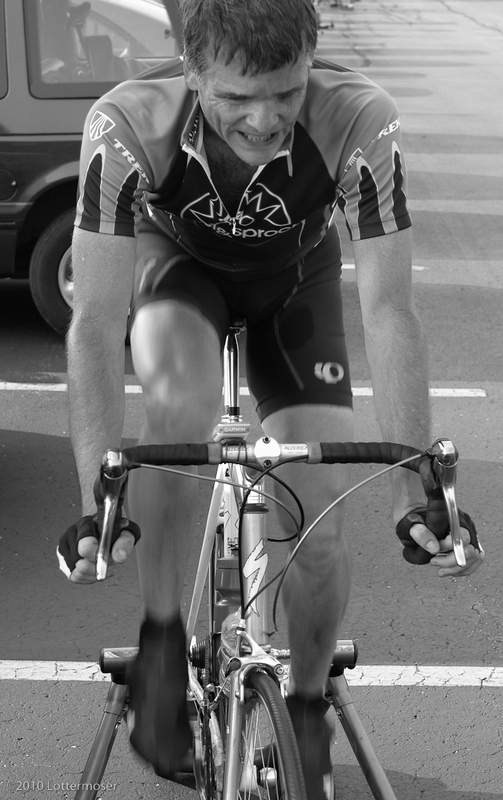 Lucky to be alive; and living to the max; he now races bicycles (with a tandem pilot). 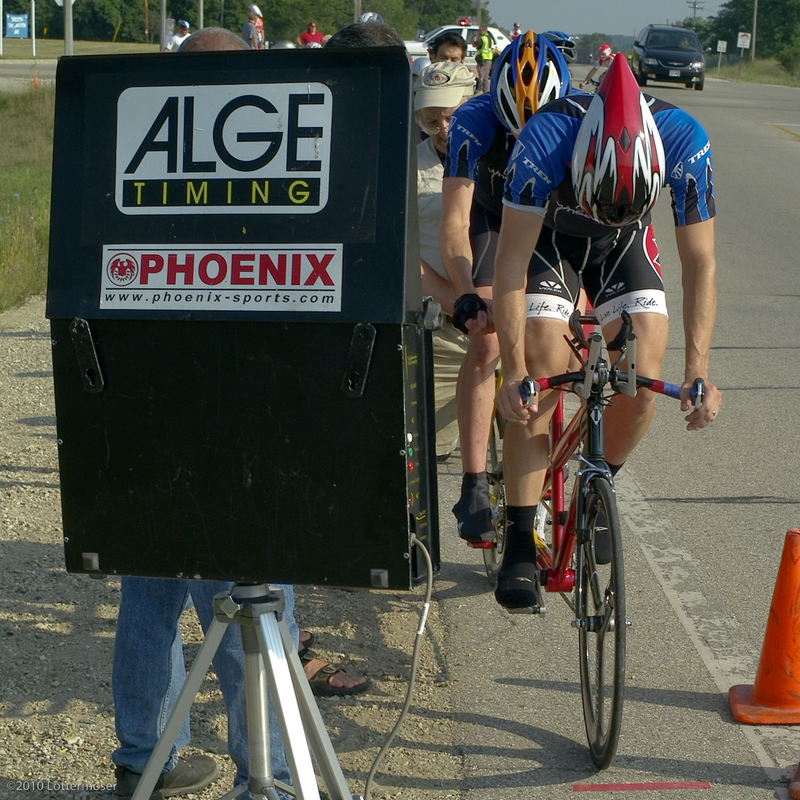 A couple weeks ago, at the Wisconsin State Track Championship, he and his pilot, Bob Springer, took the Gold Medal in Kilo and Pursuit, in the Tandem category. Kevin said, “My bike, Chariot of Fire, almost literally caught fire!” This morning he worked on his record times to qualify and participate in the 2012 Paralympics. Over the years I’ve worked with Kevin on a promotional video and designed the logo for his web site, stationery and motivational speaking work. Kevin’s simply an amazing human being. His web site is well worth taking a look at to discover just how amazing. Coming around the fourth turn, completing the first of two laps. I told you before how impressed I’m with your achievements to date (when helping you with your bikes), awesome job! Loves these photos! Can we put them on bicyclingblind.org???? You and your ‘Chariot’ are really looking good. I hope to get to one of the races to see you in live action.